On our feeder in Puerto Vallarta. Is this an Allen's hummer? 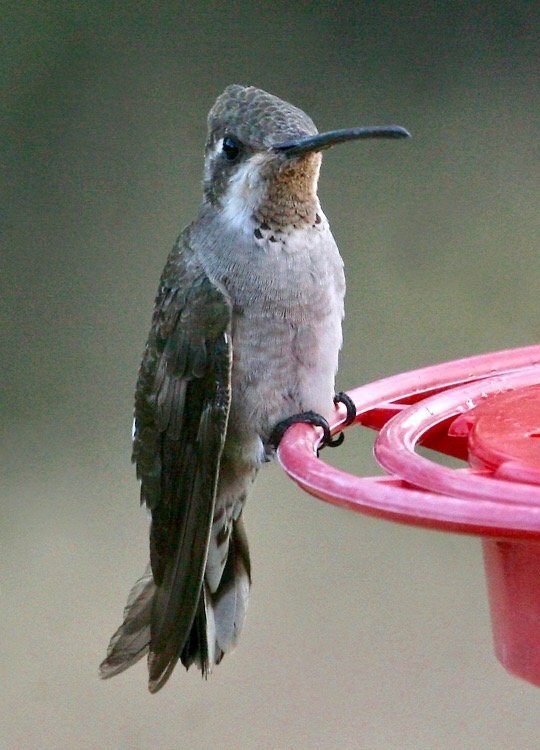 Best fit I can find is Amethyst-throated Hummingbird. I believe it is a Plain-capped Starthroat. Oh yeah, that works better. I've only ever seen one female, so I thought I could just skip it!